Treat yourself or someone you love to Teeth Whitening! If you would like to discuss any aspect of this procedure or obtain a cost please give us a call on 03 385 1466.
safe when it is professionally controlled in capable dental hands. effective when the process is properly dispensed, controlled and monitored. long lasting when the correct personalised process is provided. 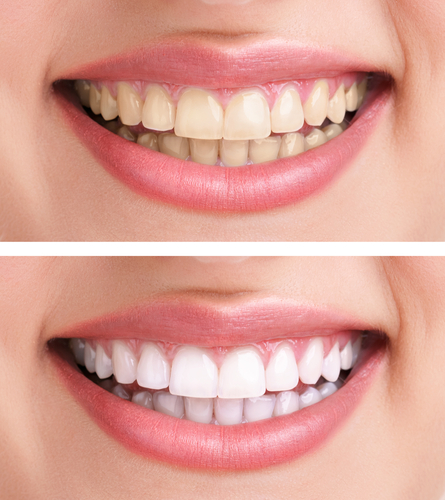 We have two main teeth whitening options. These both rely on varying concentrations of Whitening chemicals and varying application times. Best results are often achieved with a combination protocol using both options and customising the process for each individual requirement. In-Office Whitening basically ‘kickstarts’ the process to teeth whitening. The colour change is achieved in a short period of time, and your dental professional is monitoring the process on the spot. The process involves the carefully controlled use of a relatively high-concentration of whitening gel, applied to the teeth by the dentist or trained hygienist after the gums have been protected with a paint-on rubber coating. The process is then completed at home using personalised custom-made whitening trays that resemble thin mouth guards. These trays need to be very neatly fitting and are made from personal impressions of your teeth. The end process being monitored closely by your dental professional. At-home kits incorporate an easy-to-use lower-concentration whitening gel that remains on the teeth for an hour or longer (most often overnight). This process is repeated for as long as it takes to achieve the desired results. The lower the whitening percentage, the longer it may safely remain on the teeth. The gel is applied to the teeth using personalised custom-made whitening trays that resemble thin mouth guards. These trays need to be very neatly fitting and are made from personal impressions of your teeth. 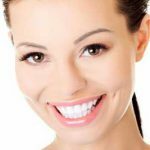 Professionally dispensed at-home whitening kits provide good results. At-home kits are a cost-effective method but do take longer, can be less comfortable, and maybe less effective than In–Office procedures.